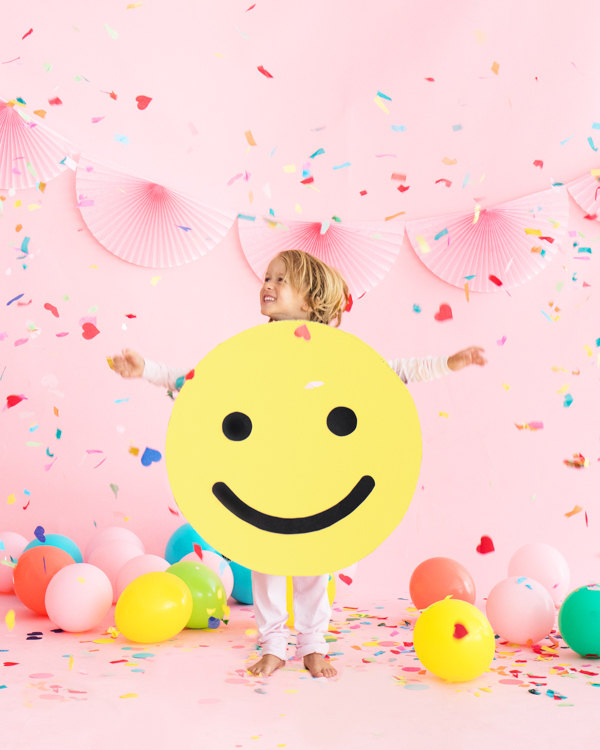 Who could frown when dressed like a smile? 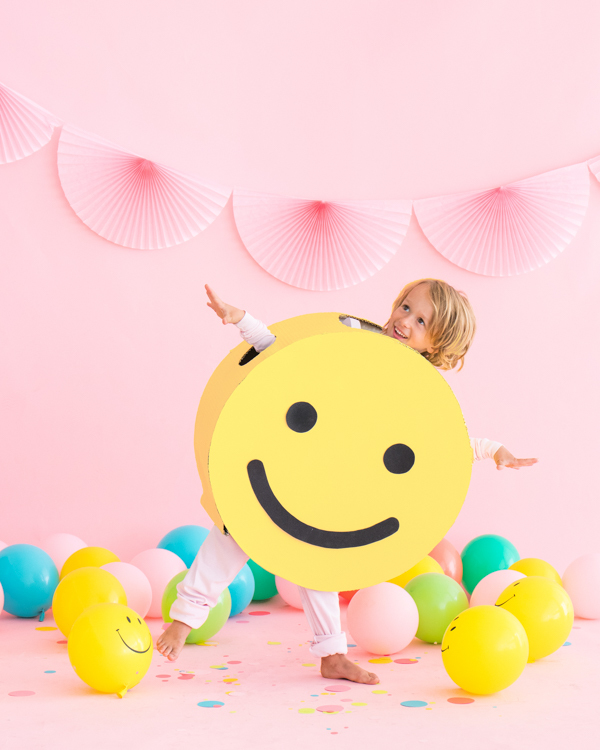 Dress your little one up as a quintessential smiley face this Halloween with this super simple DIY costume. It’s sure to put a smile on everyone’s face! Step 1: Using a compass, measure a 24” inch circle. Cut the circle out and use it to cut out a second circle. Step 2: Wrap the corrugated cardboard around a circle and tape to the inner part of the costume. Flip it over and hot glue the other side of the circle to the corrugated cardboard. Secure and reinforce the edges with hot glue. Step 3: Using an x-acto knife cut 4 holes for the legs, head and arms. Step 4: Spray paint a base layer of white to the entire costume. Let dry. Then, paint yellow. 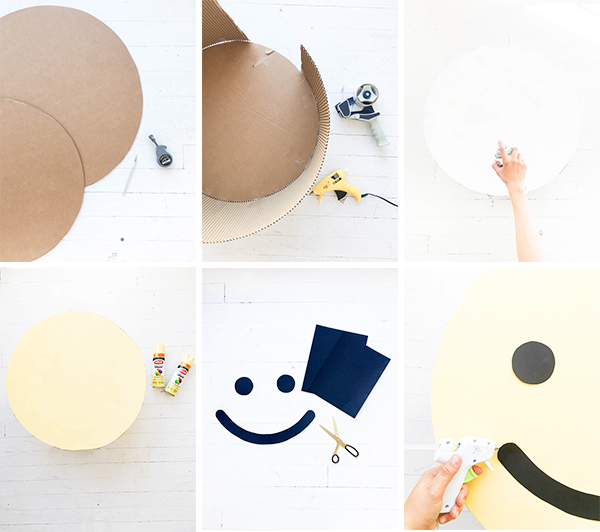 Step 5: Cut out a face from cardstock and glue to your costume. Smile, you’re done! 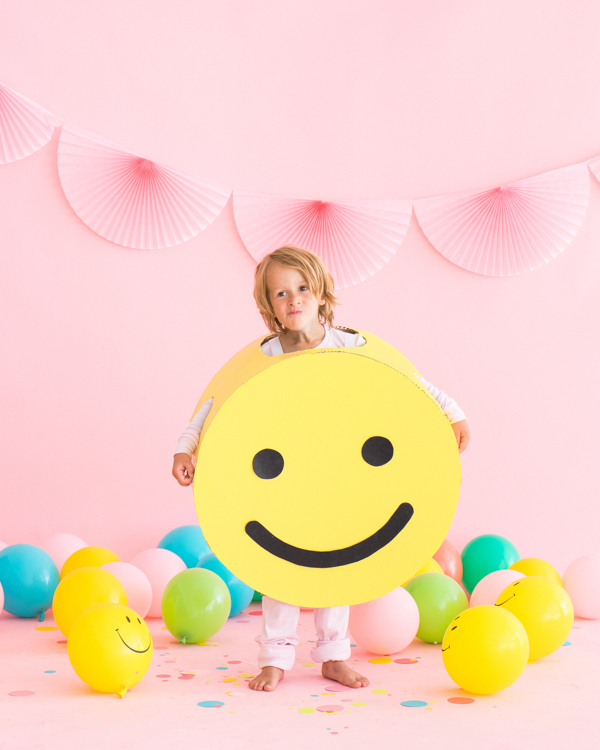 A whole bunch of kids dressed as different emojis would be hilarious! What a darling costume! Simple, easy to make and such a cute model!! Thank you! 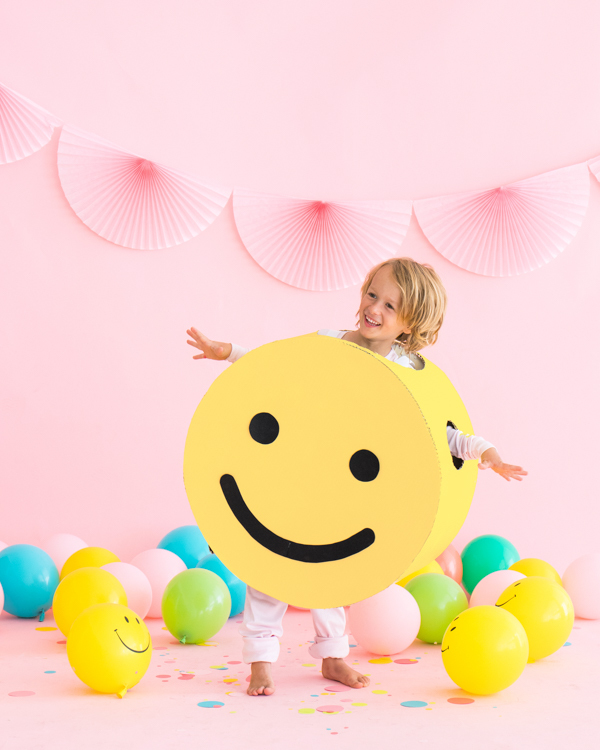 Smiley face costume surely put a smile on everyone’s face. It’s unique and impressive! I really like the creativity that went into making these. I can’t wait to make one for my little niece next time she visits.